We have launched a new edition of our Go Greener training package, to help travel agencies and tour operators make a positive difference – to the destinations they sell, their customers and their businesses. Six years on from its first inception, Go Greener has been redesigned to reflect the industry’s increased awareness of sustainability and demand for practical business solutions. This course is available to Travel Foundation partners via our newly revamped training platform. The six modules cover the sustainability basics, the business case for sustainable tourism, sustainable products, customer communication, climate change and action planning. 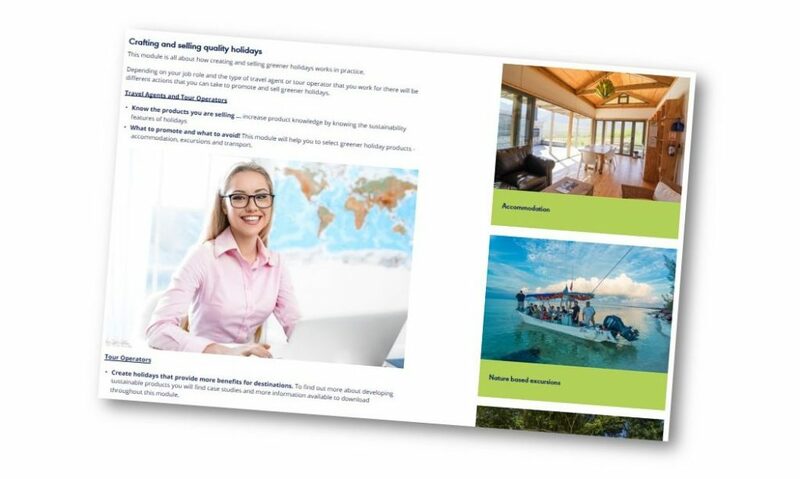 The ‘crafting and selling better holidays’ module takes a look at accommodation, excursions and transport and teaches participants how to recognise sustainable product features, what the benefits are and how to promote them. 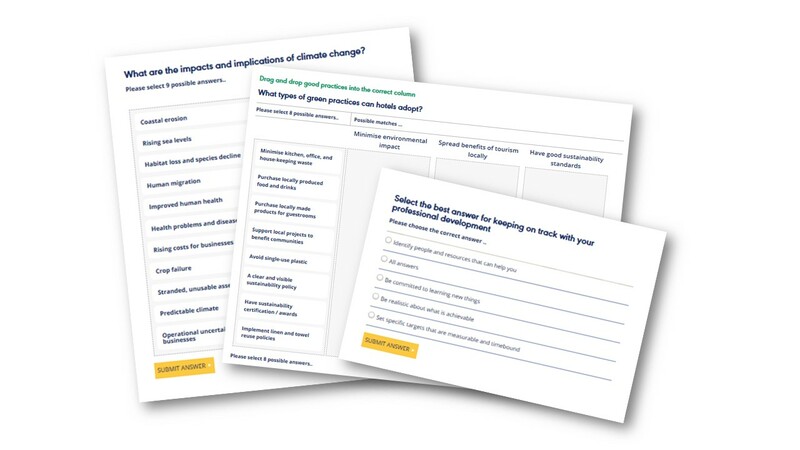 In the module ‘securing the future of your business,’ participants are given questions and need to decide which green practices will help to protect product quality, meet consumer demand for ethical products or make financial savings. By the end of this module the business case for sustainability is very clear! We always put the audience at the heart of our design process so that they are inspired and ready to take action. A series of visual aids, case studies and useful downloads enable staff to get straight on with applying what they have learned into their work practices. Whether you are travel agent, product or marketing manager there are simple, practical actions to take. The final module brings the learning together and provides sample action plans for getting started. We’ve also catered for home-working agents and have created a series of guides especially for reducing environmental footprint when working from home. Every business has its own unique identity and culture. If sustainability training can reflect this then it makes it more relevant, practical and engaging. We recently adapted the Go Greener course for our partners, Travel Counsellors. The company’s business model means every Travel Counsellor is a franchisee, managing their own premises and selecting their own product backed by head office systems. 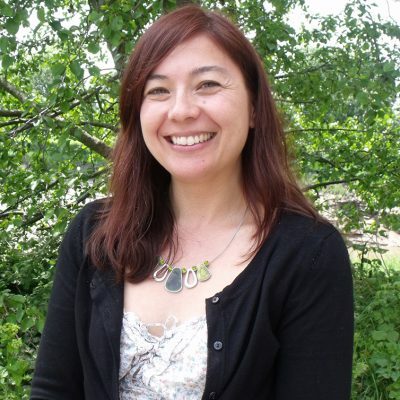 With a culture of personal growth and a set of CARE values, they wanted this to be reflected within an introductory sustainable tourism training course for 1500 Travel Counsellors worldwide. Working closely with the product team this year really helped us to understand the culture at Travel Counsellors and their focus on sustainability. Together we developed this course with the aim of helping franchisees to improve their product knowledge, communicate and promote sustainability to their customers and to get started on reducing their own environmental footprints.